We have news: you don’t need to give up your green space if you’re enjoying urban living. 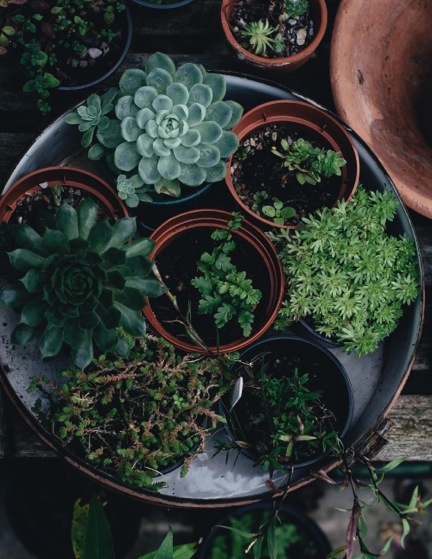 Whether it’s food or foliage that you’re after, urban gardening is the best way to bring a healthy helping of plants into your home, backyard or balcony. Why bother with an urban garden? Urban gardening is not without rewards— the activity offers something for everyone! Beyond serving as great live-decor (who doesn’t want an oasis of their very own?) and being able to eat what you grow, urban gardening offers numerous benefits and has been proven to lower stress levels, acting as preventative medicine from multiple kinds of mental and physical illness. Gardening is also very physical (bending, hoisting, reaching, etc), making it a form of exercise in its own right. The beauty of urban gardening is that it can be enjoyed at any age or ability, and in virtually any space. For children, gardening is a great pre-cursor to owning a pet, teaching responsibility and the importance of nurturing a living thing. It also is a great lesson in nature, science, and nutrition. For those unfamiliar with growing, the idea of urban gardening can be an intimidating prospect, but whether your thumb is green or not, we’re offering a few pointers to help you on your way to becoming a gardening guru. Before beginning your own urban garden, consider a few parameters like what the garden will look like mature and where it will take shape. Whether large or small, your gardening space can be a very happy environment for growing. 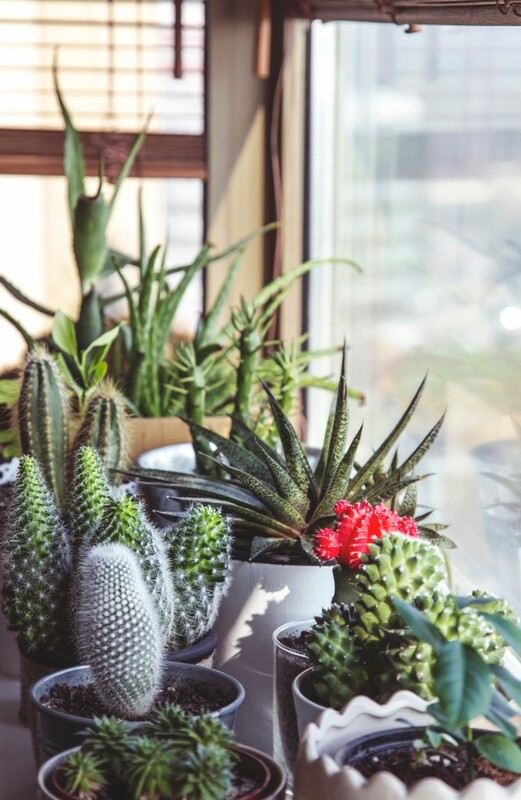 The size of the available area will determine the number of plants you will have, but you can still have an urban garden even if it’s on your window-sill or balcony. A smaller space might encourage you to think more creatively about how a garden might take shape. Are there vertical spaces that can support hanging planters? This is a great way to maximize smaller areas without adding to a cluttered ground. How much sun does your space get? Think about your intended garden space, and what kind of exposure this gets to light and heat. Balconies and rooftops can be too hot for most plants, so it’s best to take this into account when you are planning what to grow. For example, succulents and edibles like fruits and vegetables need full sunlight (6-8 hours daily), but lots of herbs can live on less sun. Also, take note with the amount of sun available in your backyard, window-sills or balcony. This is key to choosing the right plants and keeping them happy and healthy. Not all plants appreciate increased air-flow, and some will wilt at the first gust of wind. If this is a concern for your garden, windbreaks can be created by planting larger plants that are wind tolerant in front of the more fragile plants. You can also put fragile plants in low pots near the floor to give them more protection. However, wind dries plants out quickly, so if your area is windy, you will have to compensate for that by either installing a drip irrigation system, getting self-watering pots or frequently watering your plants–sometimes several times a day. Calgary is incredibly dry so we recommend carefully monitoring this by occasionally sticking a finger in the soil to detect moisture levels. Temperature presents a major consideration in choosing plants for your urban garden, especially if you leave your plants out year round. It can be difficult to relocate plants and pots to and from an outdoor garden, so we recommend finding plants that will last over winter. Your gardening space is also a microclimate and your grow-zone may be significantly different than a plant growing in a park nearby with shade or exposure to wind. You can find out what plants are likely to live and prosper once you determine your area’s growing zone rating. In Calgary, the zone rating is 4a, meaning that outdoor plants should be suited for a shorter growing season and able to sustain harsher climates if kept outside. Keep in mind that if you want to leave your plants out through the winter, in cold climates, you’ll need to be sure your plants are rated 2 zones more cold tolerant than your area is rated. While it’s possible to overspend on your urban garden, you don’t need to. We recommend investing in a good quality potting soil, but there are ways to minimize what you spend. Try finding pots at yard sales or second-hand stores–almost anything can be turned into a container, so you might not even have to buy one. Consider splitting a neighbour’s plant. Mature hostas and lilies love to be divided and do well when carefully uprooted and split once they reach maturity. What kind of maintenance are you willing to give your garden? Unless it’s plastic or silk, no plants are completely care-free. When choosing a plant, it’s important to be honest with yourself with respect to what amount of time and effort you’re willing to invest in keeping it alive and well. If you are a beginner gardener, start slowly. 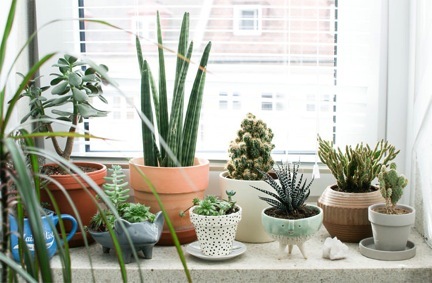 See if you like gardening initially—you can always buy more plants, but if you start slowly, you can get a feel for what works in your space before completely committing to a larger-scale project. At a minimum, for an urban garden you’ll need containers, seeds and/or plants, and potting soil. Plantscan be planted in anything deep enough to support root growth (8-12 inches ideally), as long as you put some holes in the bottom for drainage or some extra gravel under the soil to keep the plant from become overly wet. The versatility of containers for growing plants opens up a number of creative DIY opportunities and design hacks to suit all tastes and budgets. If you’re looking to build your own planters and shelving but lack the tools to do so, we recommend looking at Calgary Tool Library—a tool-lending program that brings community members together to build and learn while sharing tools, skills and knowledge with one another. Whether your space is big, small, windy, or full-sun, you can make some informed decisions about what plants will thrive in your garden. Calgary’s dry, fairly cold climate is well-suited to a number of plants that would make great additions to your space. When choosing your plants, consider what you’re looking for in your garden. Do you want to eat what you grow, to make your garden an accent to your decor, to harvest blooms for indoor arrangements? Are you hoping to gain extra privacy or create shade in a sun-filled area? All of these things are possible from gardening and will help determine which plants to pick. Once you’ve purchased your container, plants and soil, you can get started! To begin, fill your container with lightly-packed potting soil to an inch below the rim and plant your seeds another half inch below the surface. Alternatively, buy baby plants from a nursery and re-pot into your containers. Water your garden and place it in the space of your choosing. Remember that over-watering is the fastest and most common way to kill a plant–always let the soil dry out and then fill it up. In a climate like Calgary’s, this likely won’t take long! If you find your plant is showing tell-tale signs of unhappiness (dry, browning or yellowing leaves), you might need to re-examine the plant’s location and relocate it. Don’t be shy to talk to your plants either—studies show this helps them grow! There we have it—urban gardening in a nutshell. Can you dig it? City-life and city-sized space shouldn’t deter anybody from enjoying a green patch of their very own, whether it’s inside or out, balcony or backyard. We’re excited to share that University District’s own community plan is focused on sustaining plant life, and the neighbourhood will be home to a number of green spaces for all to enjoy. Looking to step beyond your own garden and learn more about the social impacts of growing food in the city? You can tap into the growing wisdom of sustainable, Calgary-based, urban farming techniques from resources like Grow Calgary and Eden Project and find out how you can be part of the growing movement. 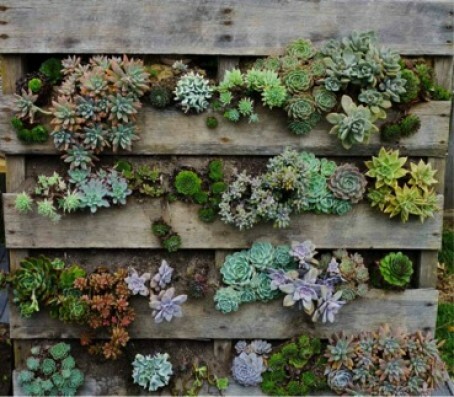 Have a favourite urban gardening hack or idea you’d love to share? 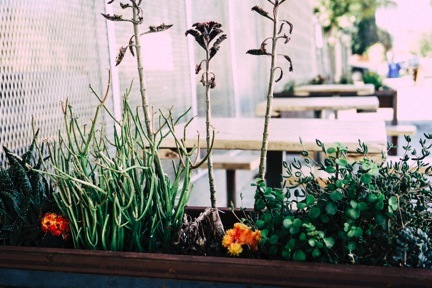 Want to show us your own urban garden? Reach out to us and join the conversation on Twitter!